You want to setup MythTV so you can get DVR service to your home network, but do not want to dedicate a single computer. 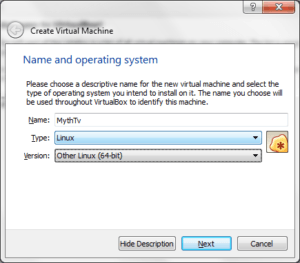 This guide will show you how you can leverage your Windows PC to run MythTV on a Virtual Machine using VitualBox. 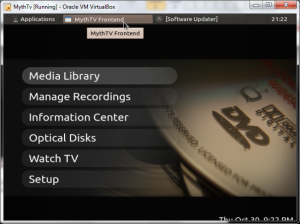 You could also do this just for testing out MythTV functionality then move it to a dedicated PC if it works for you. 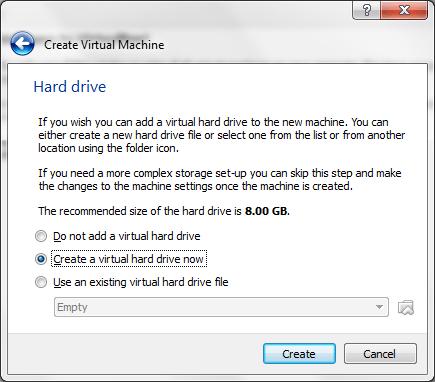 These same principles can be used to try out any operating system on your windows box. We have a full guide on how to get TV with DVR capabilities on your network utilizing an HDHOMRUN with cable card or over the air antenna. You can see that here. 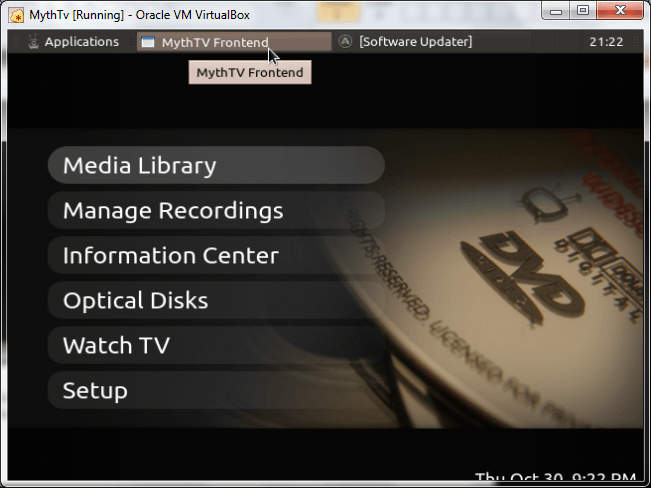 MythTV – A free DVR service that runs on Linux – We suggest Mythbuntu as it is optimized for MythTV out of the box. 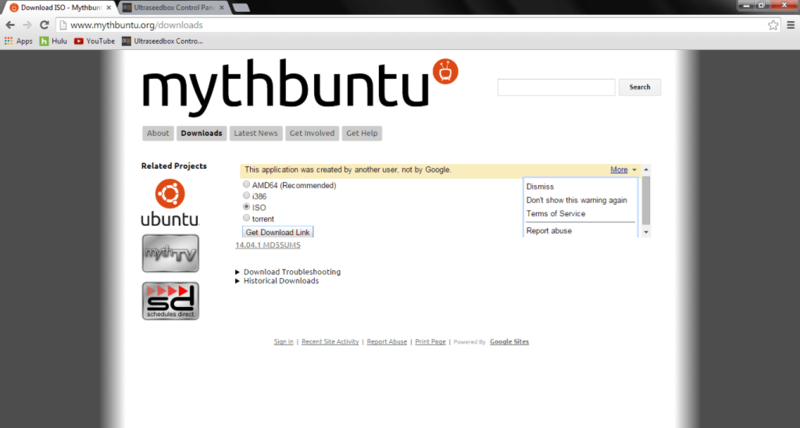 Here are the system requirements for Mythbuntu. I should also note that this works flawlessly with HDHomerun or other network based tuners. You will have a super hard time at best if you try to do this with an integrated tuner card. Set the memory size to 512MB or 2048MB depending if you want HD min requirements or not. 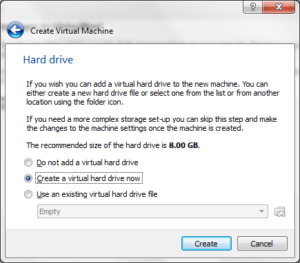 You will want to create a virtual hard drive which will partition some of you physical drive specifically for MythTV. 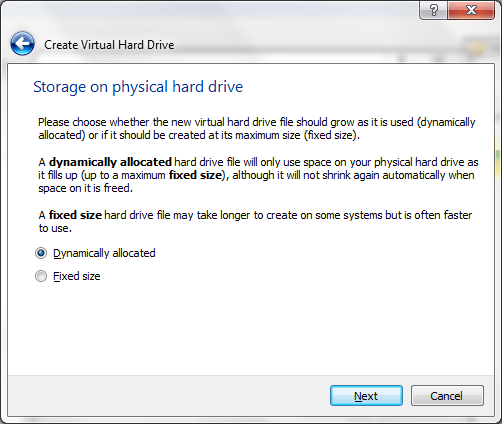 I used “Fixed size” for my storage type. Here you need to set your storage size. 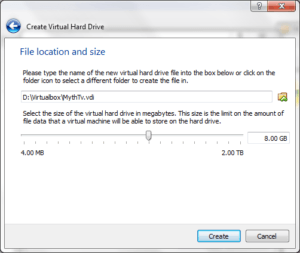 You would probably want to add a 500GB or 1TB drive to your box so you have plenty of DVR space. 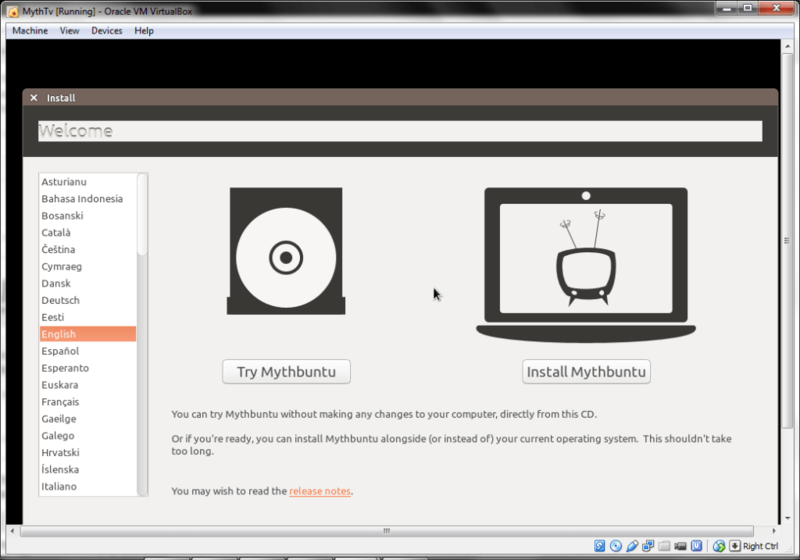 Now we have the virtual box ready to install Mythbuntu. Right click on the instance and go to the storage settings. 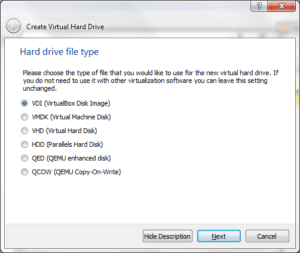 Click the disk + button. 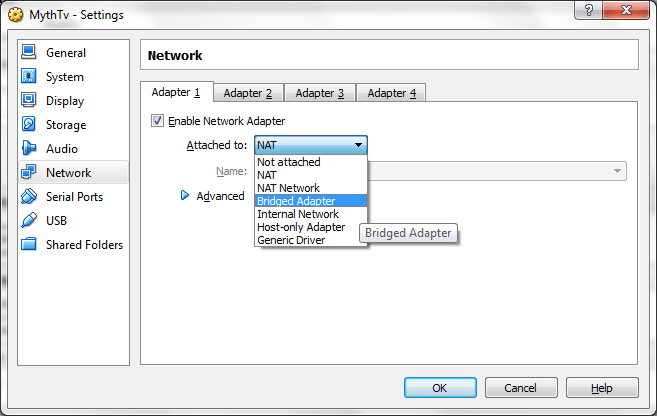 Next go to the “Network” header on the left. Ok that then start the machine. A windows will open up where you can now walk through the Mythbuntu setup. 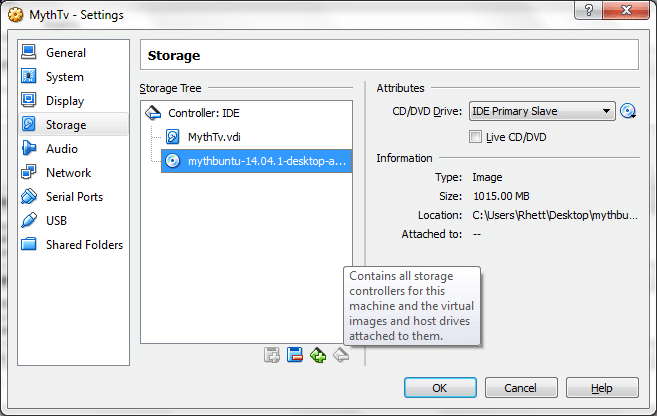 Erase disk and install Mythbuntu: Remember this is the virtual disk you created earlier so your windows installation and directors are safe. Depending on your needs you will select one of the following options. I suggest the first instance. You are going to use this box as the “backend” so other TV’s can access for TV and DVR. 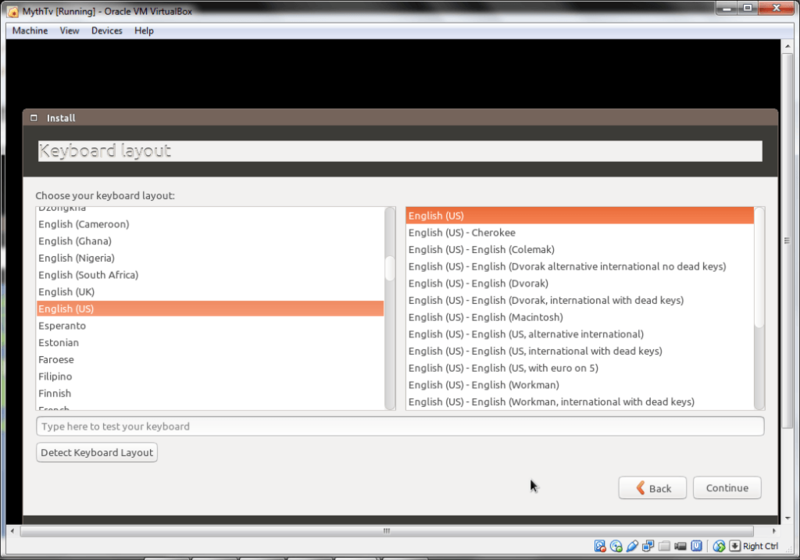 The first option will also allow you to test if everything is working within your virtual environment. I would add all the following check boxes for additional services. 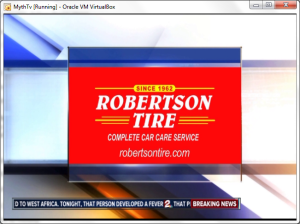 This way you can access the virtual box from multiple services. 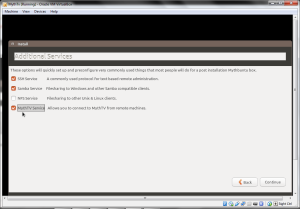 The MythTV Service needs to be selected. 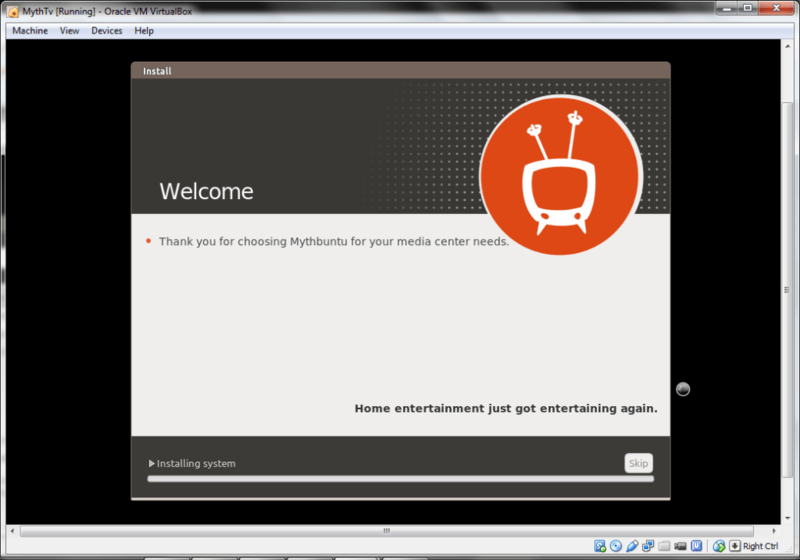 I didn’t setup a remote as I will use the remote for my other XBMC Kodi boxes around the house, not on the virtual machine that will be used as a backend. 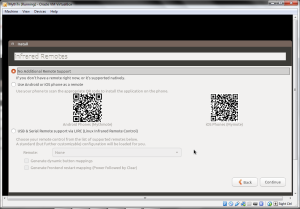 So to be clear, you will be able to use your phone for instance as a remote on your TV’s even though you select “No Additional Remote Support” on this screen. It will install and complete. At this point you will want to use the Mythbunut setup guide on our XBMC Kodi Live TV HDHOMERUN Prime MythTV Cox Cable Card Setup post. This will help you get everything talking from the cable card/Antenna -> HDHOMERUN -> MythTV. 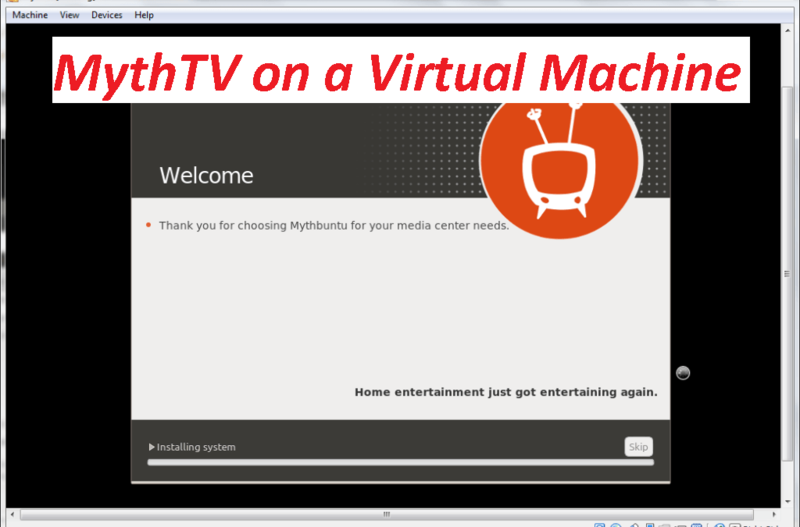 Once you have the Mythbuntu setup in the other blog, you can use the MythTV Frontend app within your virtual server to see if you are getting TV signal. 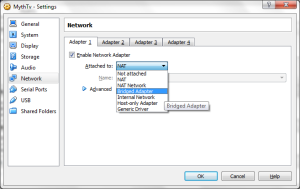 I would do this to ensure everything is working before you move on to connecting your XBMC/Kodi boxes to it. 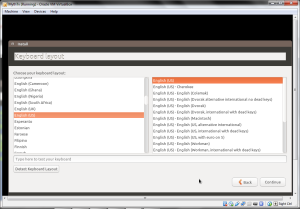 Under applications in the top left hand corner you will see “MythTV Frontend”. When you open it you can go to “Watch TV” and make sure everything is working. Again, you have to setup the backend first before this will work which is described in the blog link above. If all is good you will have TV! Great news and good luck with the project. Thanks for the great guide! I am midway through setup. One quick question. 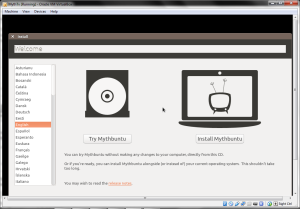 I would like to install Mythbuntu to run off of my SSD and then save DVR files to another HDD. Is this possible? 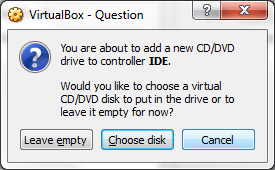 Should I just create the virtual box on the SSD and then add another hard drive to the virtual machine for DVR storage? Thanks again! 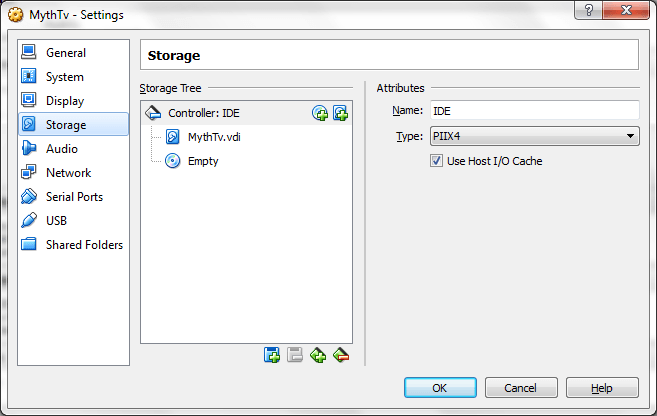 When you setup Myth you can point to whatever location you want to store the files. This should not be an issue. Thanks, I followed your entire setup, exited the backened and click yes to start it and yes to run mythfilldatabase. I opened the frontend and it is telling me it can not connect to the master backend server. Any suggestions? 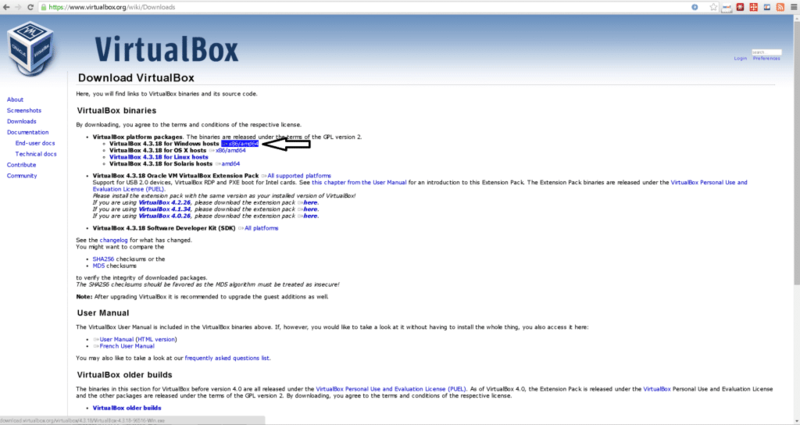 There was nothing in your guide about setting the IP settings so I assume that is not necessary? 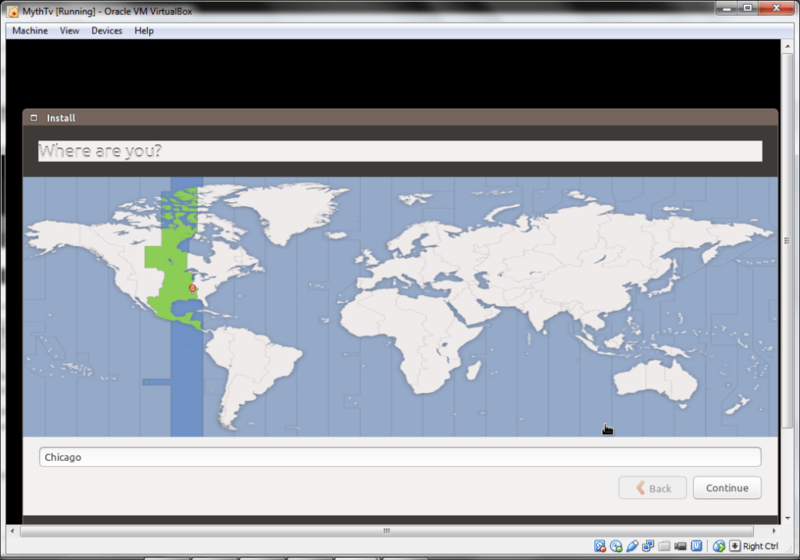 That is an IP issue. 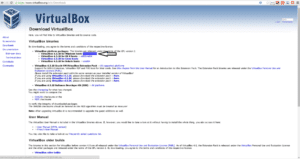 The frontend does not know where to look. This guide goes over the full setup including ip https://gameroomsolutions.com/live-tv-setup/. Thanks for your quick help, Ryan. For anyone having the same trouble I did, I had to disable IPv6 for the backend to keep running and not shut itself down. Then I set the IP address in MythTV backend Setup to the address of the virtual box (instead of the 127.0.0.1.) Set the IP address of the virtual box in Kodi as well and life was good. Thanks for the guide. I’m all set up, but I’m running into an issue allocating the WinTV card. 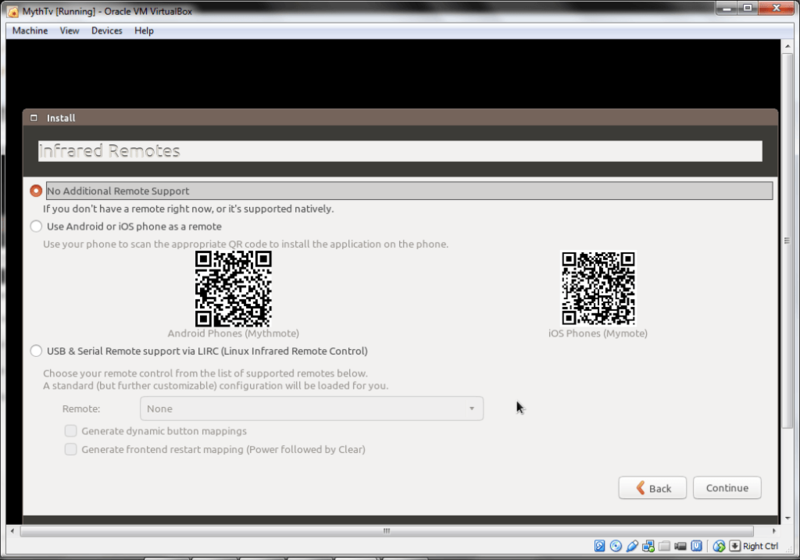 Obviously the HDHomerun Prime box is a networked device so no additional hardware is needed by the VM. 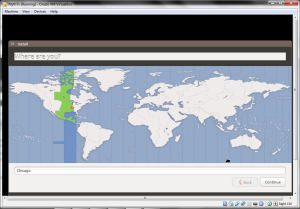 In my case however, I was hoping to take advantage of my WinTV capture card for OTA signals. 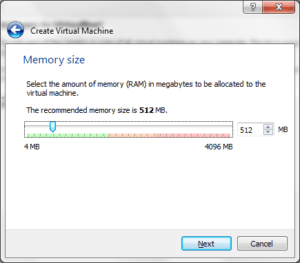 Have you used additional hardware from the host machine to do this? 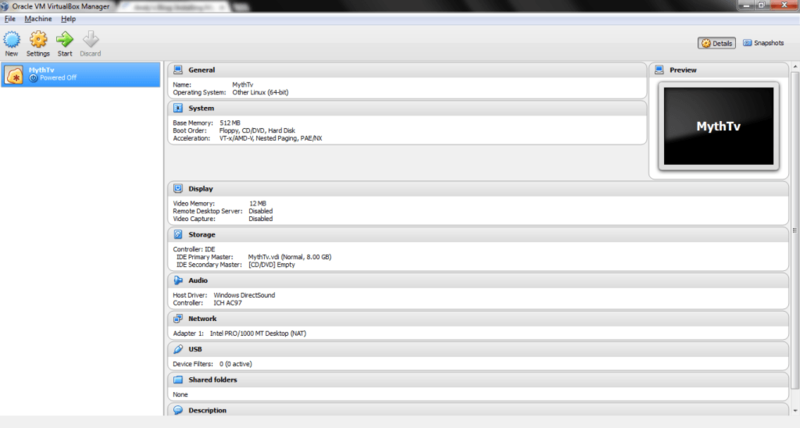 I have really only used the HDHOMERUN with myth tv and schedules direct. 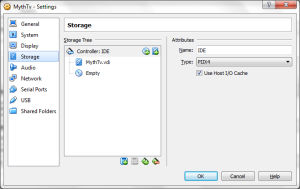 If the WinTV card is not available on the network, then you will probably only be able to access the drive where you have any of your DVR records, not live broadcast.